April 8. It was a beautiful spring day in Seattle yesterday and warm enough for some of the native flowers to come out - it has been cold enough that alders are about a month behind (catkins are not out) which is a relief to allergy sufferers. 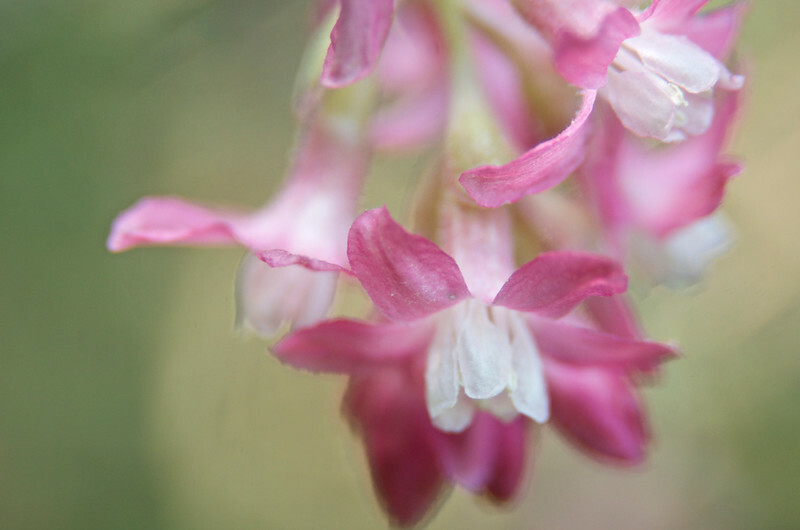 I spent the morning trying to capture the flowers on a native gooseberry (Ribes spp.) but it was a fairly breezy day. Finally got out the extension rings in order to isolate the subject more and got more of an impressionistic result.